Shop online for 20 hobby and craft putty / filler at discounts up to 25%. Plastic is the most popular of the 4 hobby and craft putty / filler categories, then Wood, and Microballoon. Tamiya is ranked #1 out of 6 hobby and craft putty / filler manufacturers, followed by Testors, and Deluxe Materials Limited. This is a tube White Plastic Model Putty from Tamiya.:. 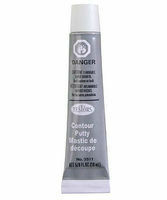 This is a tube of Basic Type Tamiya Putty. 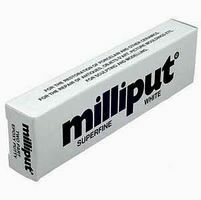 This is the Modeling White Acrylic Putty 20ml Tube from AK Interactive. 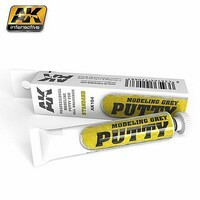 This is the Modeling Grey Acrylic Putty 20ml Tube from AK Interactive.